Ford Tops Most Stolen SUV and CUV List. Yay? According to the National Insurance Crime Bureau’s recently released Most Stolen SUV and CUV list, thieves across America are particularly fond of the blue oval. The top three most stolen SUVs and SUVs between Jan. 1, 2010 and Dec. 31, 2013 were the Ford Escape (1,421), Ford Edge (1,140), and Ford Explorer (958). The report finds that compact crossovers are the most commonly stolen utility vehicles in America with nearly 7,000 thefts in nearly four years. Conversely, a mere 53 SUV pickups were reported stolen in that same timespan. California has the most stolen SUV and CUV claims of any state by a wide margin with 3,531 thefts between 2010-2013. Florida (1,897 thefts) was second, followed by Michigan (1,834 thefts), Texas (1,686 thefts), New York (1,577 thefts), and New Jersey (1,303 thefts). Fortunately, the vast majority of SUVs/CUVs stolen are recovered; of the 6,891 reported thefts of compact crossovers, only 534 (eight percent) were never recovered. 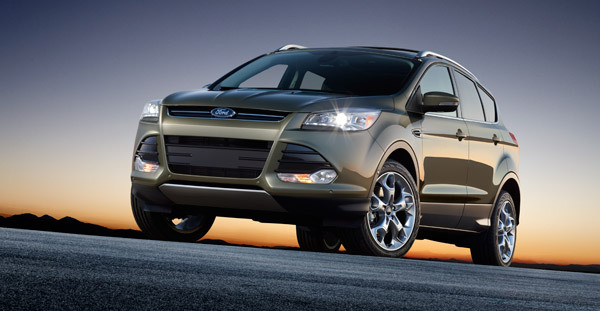 Of those Ford Escapes that were stolen, only 76 (five percent) are as of yet unrecovered. During the four year span, the best states for SUV and CUV drivers were: Alaska, Delaware, Idaho, Maine, Montana, New Hampshire, North Dakota, South Dakota, Vermont, and Wyoming. Only 15-45 thefts of utility vehicles were reported in these states during that four year span. Similarly, every theft in Idaho, North Dakota, South Dakota, Vermont, and Wyoming was resolved with the vehicle being returned to its rightful owner. Only 1-11 thefts went unresolved in: Alaska, Arkansas, Colorado, Delaware, Hawaii, Iowa, Kansas, Kentucky, Maine, Minnesota, Montana, Nebraska, New Hampshire, New Mexico, Oregon, Rhode Island, Utah, Washington, West Virginia, and Wisconsin. By contrast, 368 stolen SUVs and CUVs went unrecovered in New Jersey and 353 were unrecovered in New York, which amounts to about 25 percent of all unrecovered vehicle thefts in the United States.